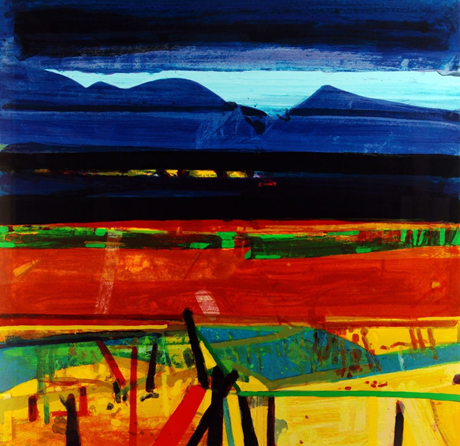 Barbara Rae is a Scottish abstract landscape artist. This piece is titled “Achill Fence”. You can view more of Barbara’s work through Rise Art.